Howard Markham, as past grader for PCGS I have unparalleled knowledge of coin grading. Being in the coin business for over 30 years has giving me a lifetime of knowledge . We are the Preferred PCGS Coin Appraiser for Attorneys , Courts and Trusts!! Better Business Bureau accredited NGC Coin Appraiser. with an A+ Rating for the last 30 years.. Markham Numismatics has traded, purchased and sold millions of dollars in PCGS coins and NGC coins , I worked for David Hall when he started PCGS in 1986. 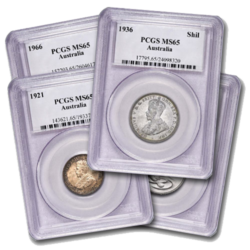 Markham Numismatics has built a extensive network of coin collectors who are waiting to buy PCGS coins and NGC coins.. If you have PCGS or NGC coins and wish to liquidate them. please call for an appointment. Due to the high crime atmosphere we no longer keep any inventory on site. If you need a coin collection appraised or wish to have us liquidate your coins . email or call us. to set and Appointment .